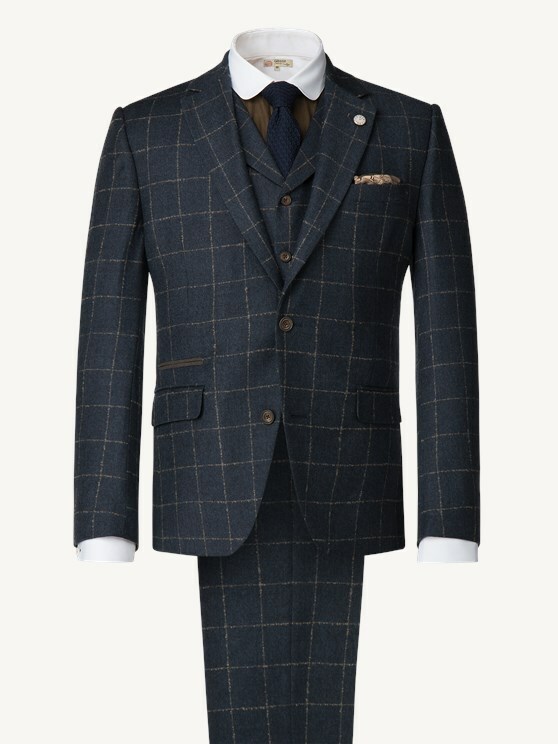 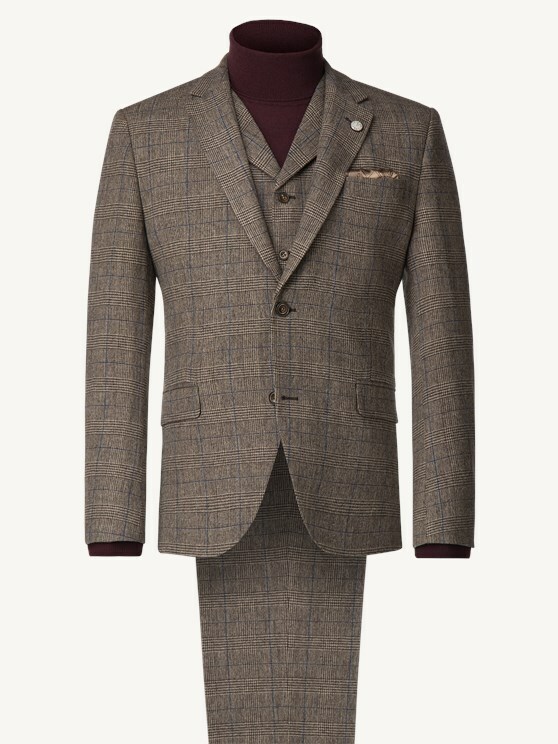 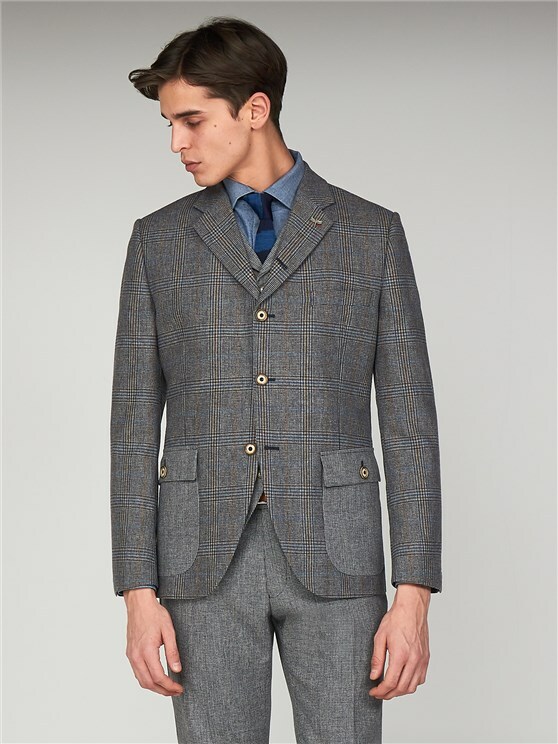 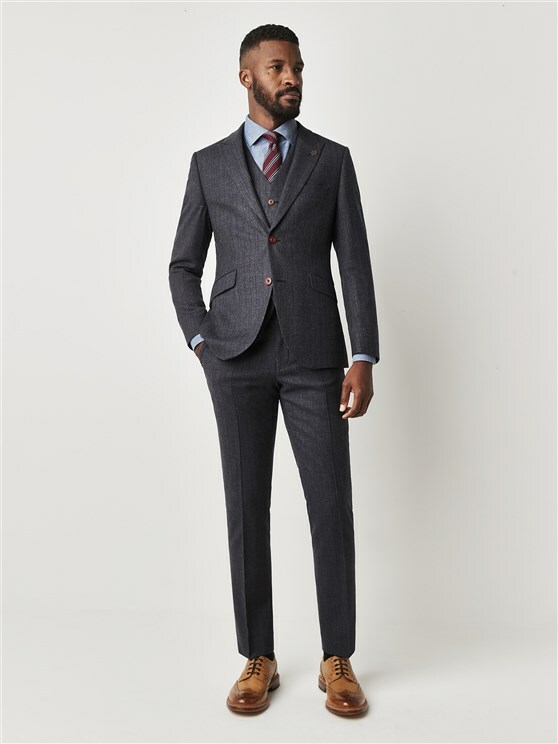 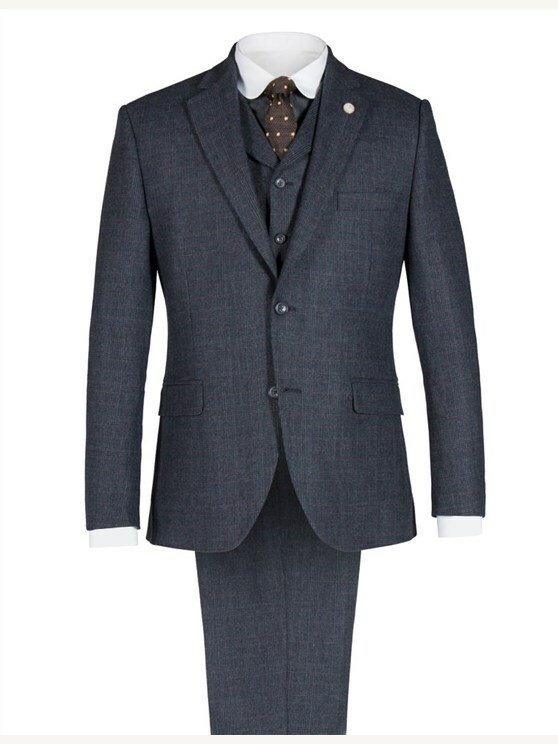 The Fiennes is a truly stylish, eyecatching blazer for the man seeking a unique profile inspired by the best of British menswear. 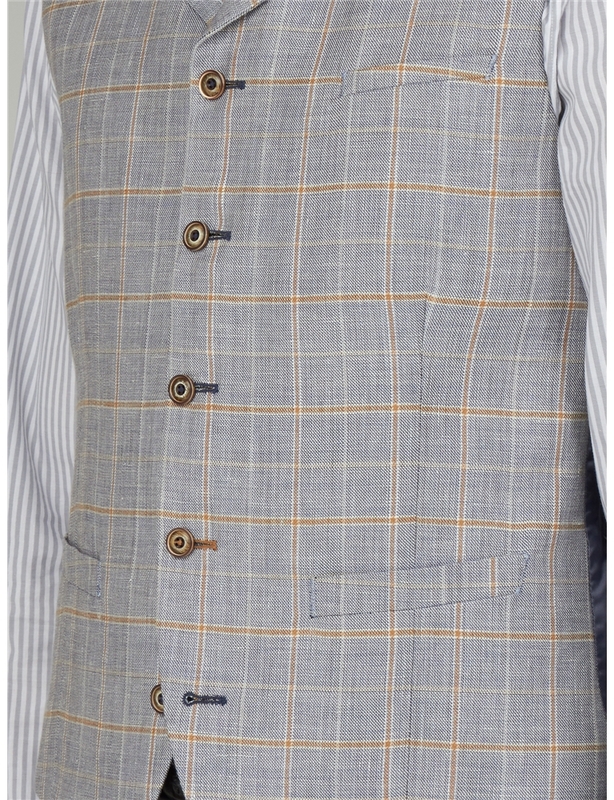 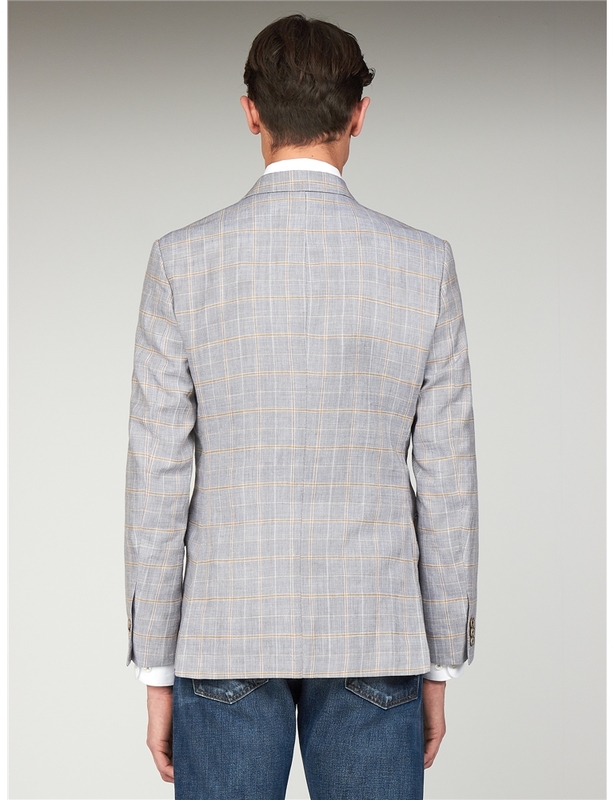 With a pale blue and orange check, this bright selection of colours creates a statement blazer that's impossible to ignore. 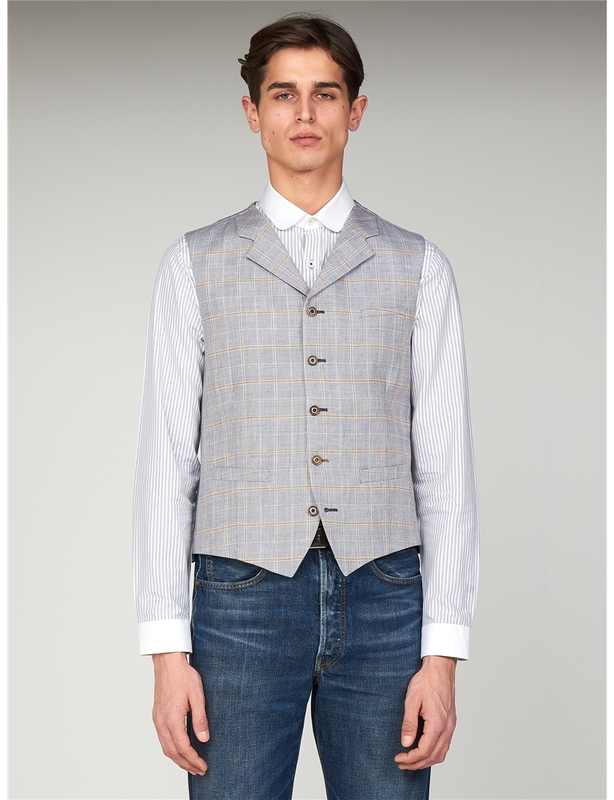 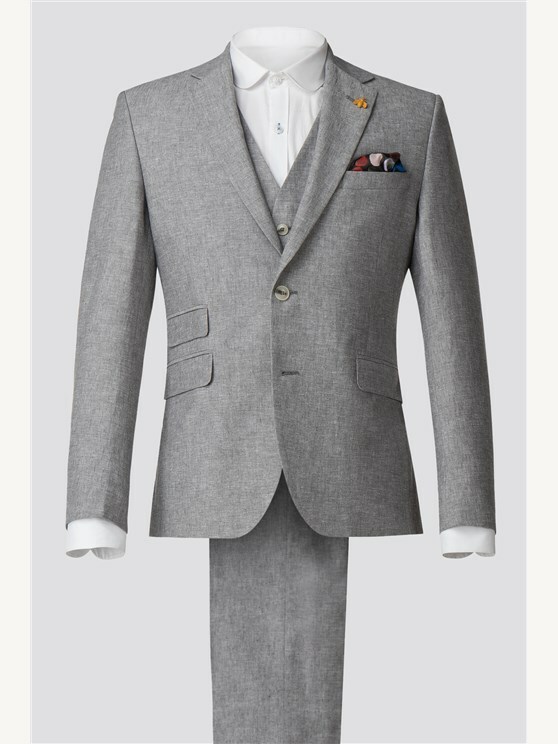 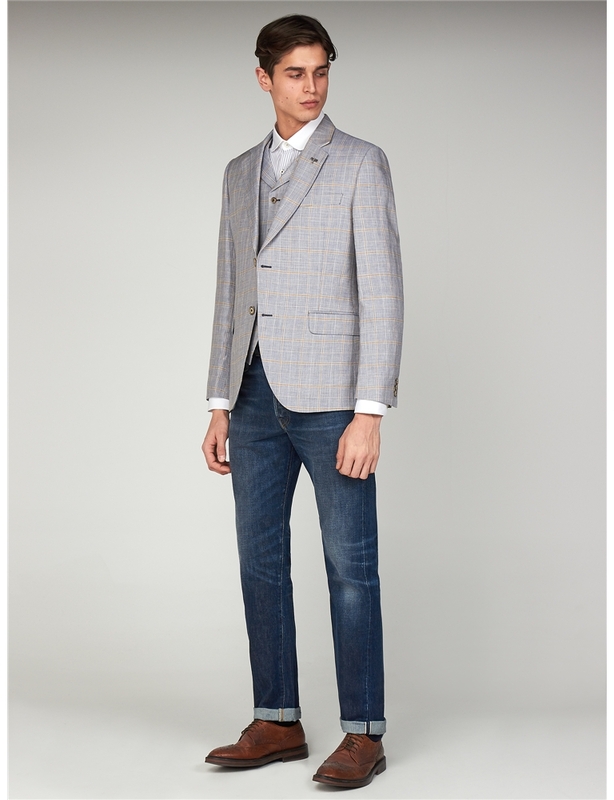 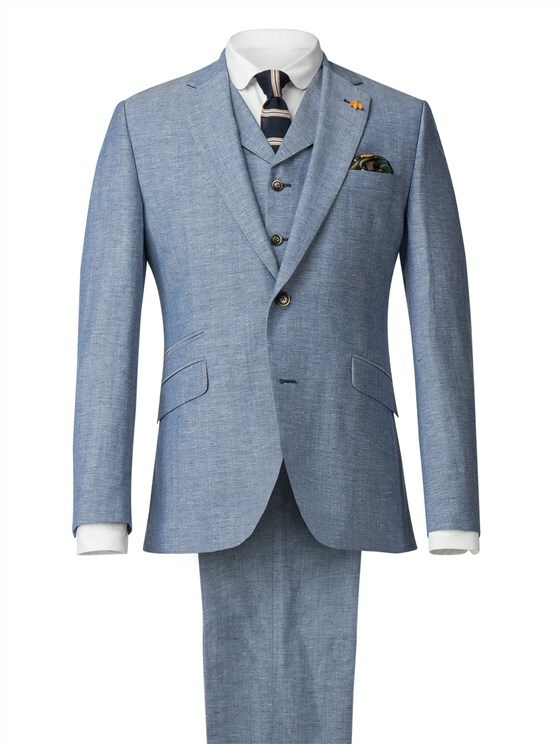 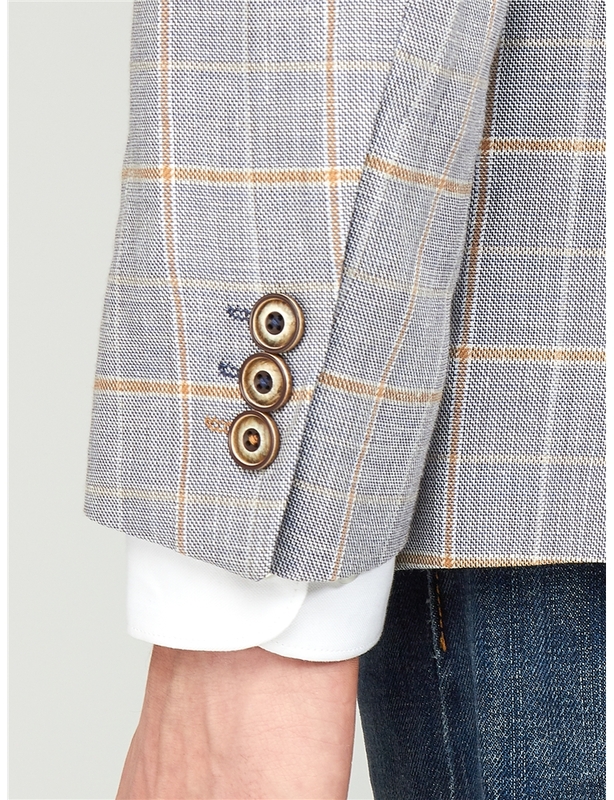 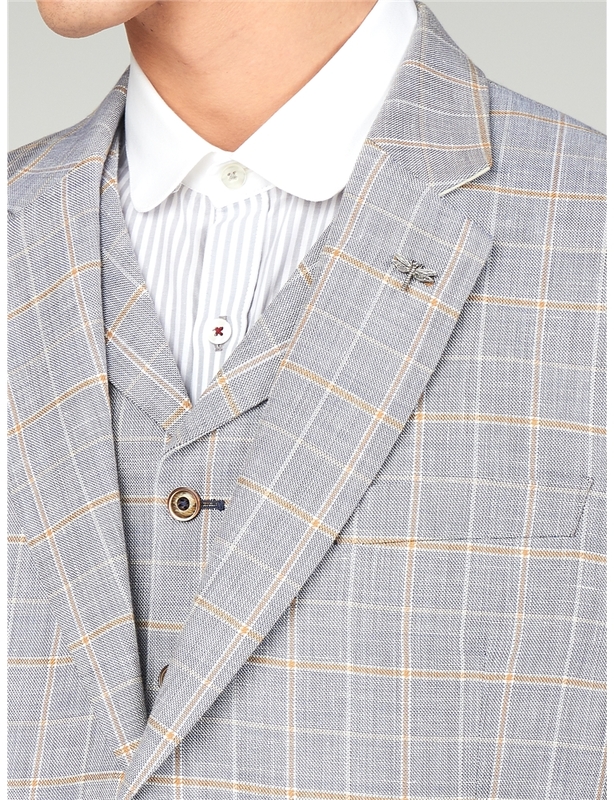 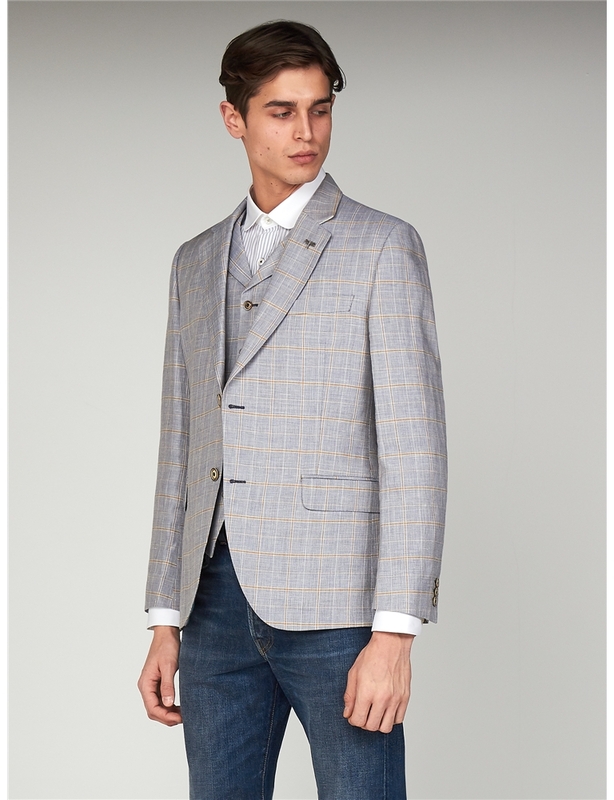 With a single breasted, tailored fit jacket in lightweight linen, 3 button cuffs and a tailored fit, this light summer blazer is the ideal companion to any gathering in the British sunshine, completed with notch lapels and plenty of pocket space for the versatile summer accessory.